Home » Articles » Food safety testing for poultry: pathogen expert weighs in. If you work in the raw poultry industry, Campylobacter testing is key to your operations - especially if you’re exporting your product internationally. Campylobacter is a bacterium that can be found in foods like chicken and can lead to symptoms such as fever, nausea, and abdominal and muscle pain. Many countries, including the United States, require all poultry products to undergo food safety testing for this bacterium. But, traditional Campylobacter testing methods, like polymerase chain reaction (PCR), immunoassay, and culture methods require multiple steps – impacting your time to results. That’s why I’m excited about 3M™ Molecular Detection Assay 2 – Campylobacter – 3M’s solution to simplifying Campylobacter testing for fast and reliable reads. From process impact to reliability, I’ve received a lot of questions about this campylobacter detection method. Here are the answers to the three most frequently asked questions. 1. What makes this food safety testing technology different than traditional Campylobacter detection method? As a microbiologist working with food safety and quality testing labs across Canada, I’m given a unique inside look, into the ins and outs of labs – big and small across Canada. And, a question I’m often asked is: how can I streamline processes for simplified and accurate results? This is exactly what we’ve done with 3M™ Molecular Detection Assay 2 – Campylobacter. Traditional enrichments for Campylobacter (e.g. enrichments used for PCR, immunoassay, and culture methods) required labs to follow an 11 (or more) step protocol. The 3M™ Molecular Detection Assay 2 – Campylobacter enrichment is only five-steps – offering a much simpler overall media preparation and incubation process than traditional Campylobacter testing methods. 2. How does 3M’s food safety testing technology for Campylobacter detection work? Describe the science. 3M Technology spotlight: 3M™ Molecular Detection System can perform up to 96 different food safety tests, including Campylobacter in one 60-minute cycle. * A significant benefit of MDS is that you can batch Campylobacter and Salmonella in the same run. 3. What are the top benefits to choosing 3M’s food safety testing technology for Campylobacter detection? Another advantage of 3M™ Molecular Detection Assay 2 – Campylobacter is that it follows the same simplified process as all other 3M™ Molecular Detection Assays. The streamlined approach offers time and labour-saving advantage for a food safety and quality lab. 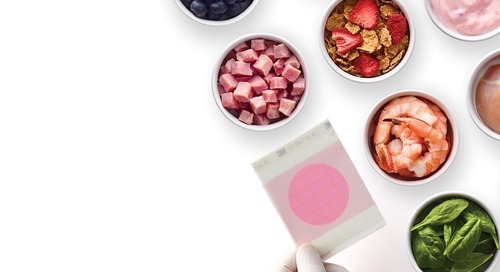 Want to learn more about how you can simplify your food safety testing with 3M Science? Fill out the form below for more information. 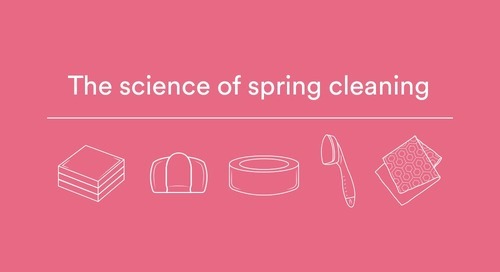 8 spring cleaning tips powered by science.